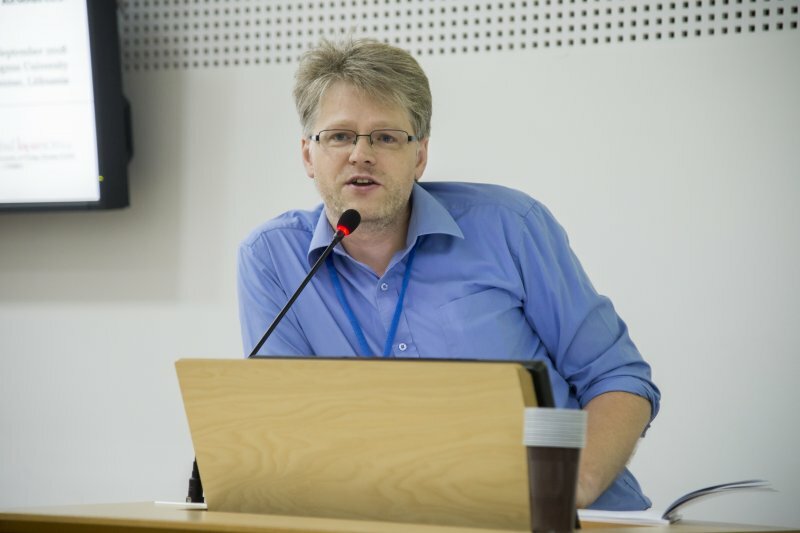 Since 2007 the Centre for Asian Studies is organizing international scientific conferences and symposiums. 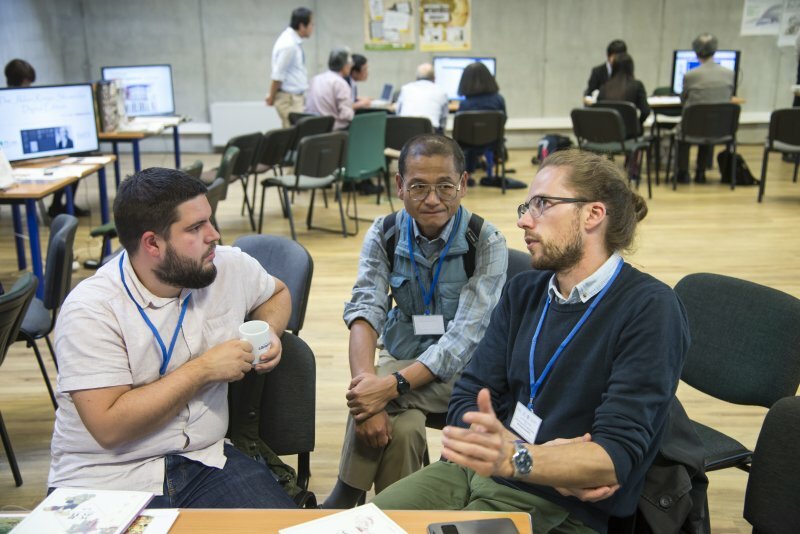 September 12-15, 2018 VMU Small Hall and Room 103 (V. Putviskis st. 23). 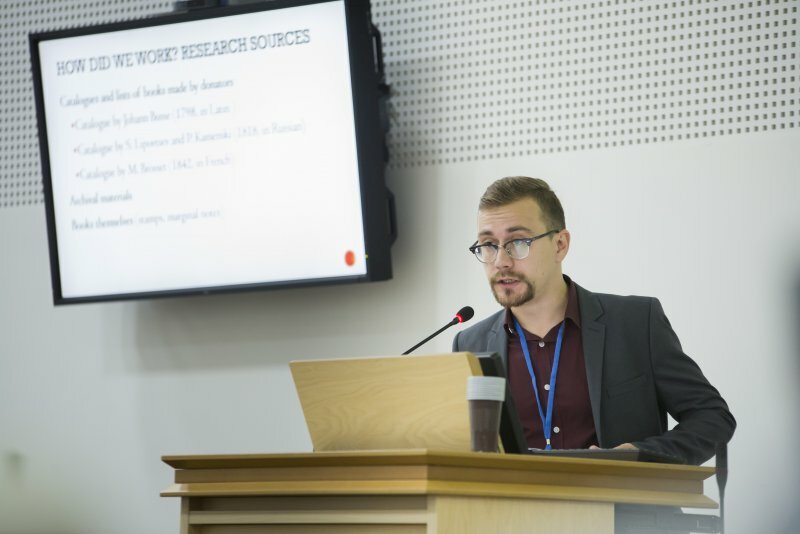 The conference which was supported by the Japan Foundation and Toshiba International Foundation was dedicated to localization of study resources in the global context and resources related to the World War II. 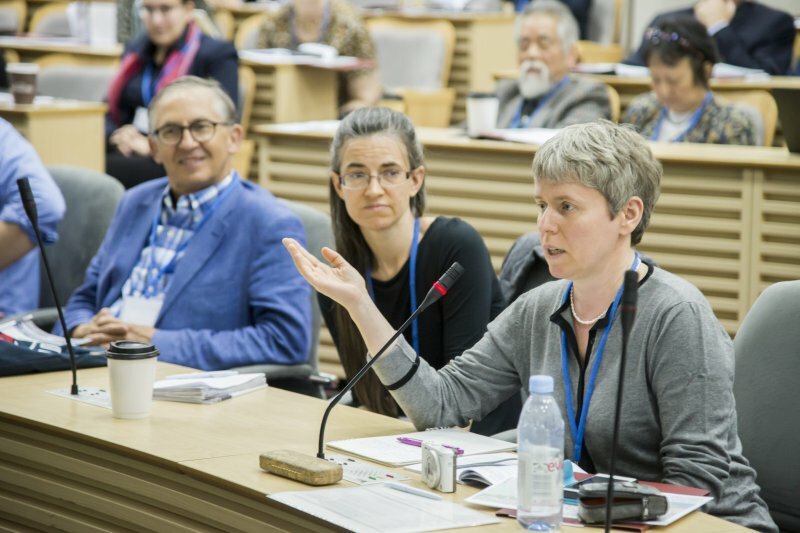 The Conference attracted participants from such countries as Japan, China, USA, Canada, France, Switzerland, Germany, Finland, Sweden, Denmark, Belgium, Norway, Slovenia etc. 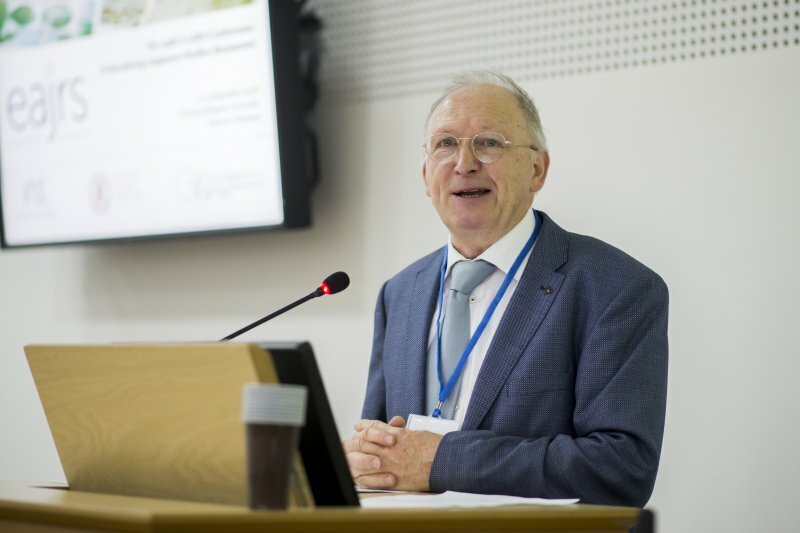 The Conference taking place in Kaunas in 2018 is the first one in the Baltic States. 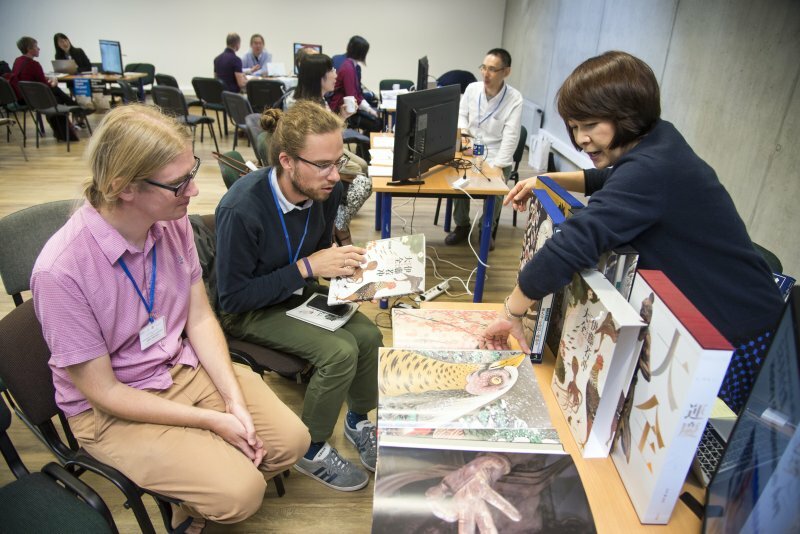 European Association of Japanese Resource Specialists is one of the biggest organization uniting Japanology specialists in the world providing special attention to accumulation of Japanology resources, creation, management and distribution. 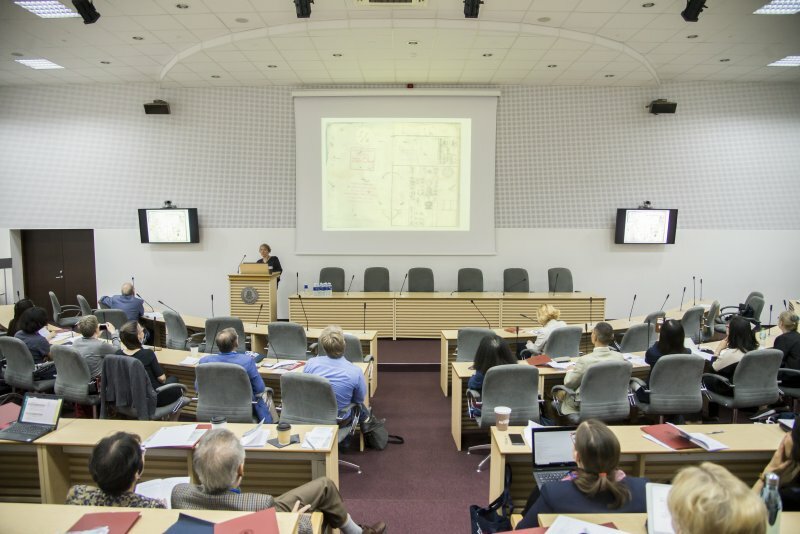 Its conferences occur annually since 1994 mainly in the Western European countries and attract hundreds of specialists from all around the globe, not only from Europe and Japan but also from Australia, United States and Asian countries. For the detailed schedule of the event please, refer here. 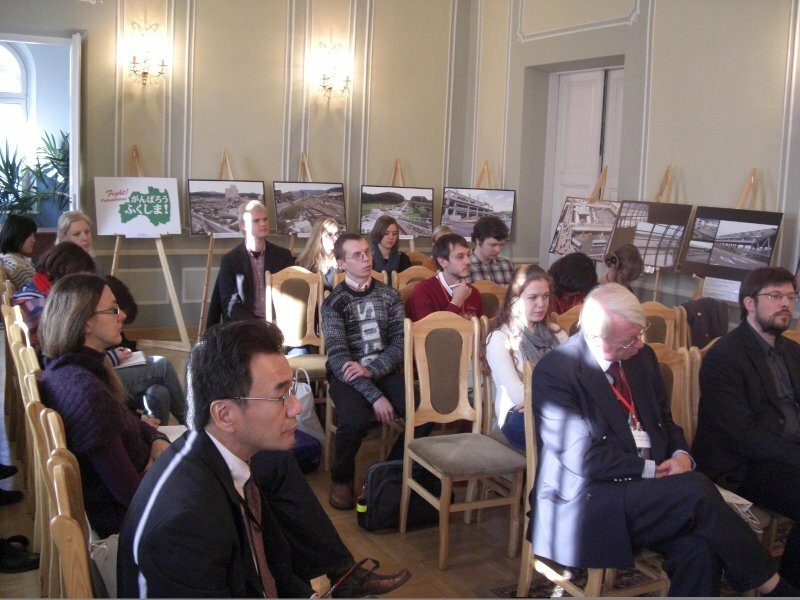 The Conference, which was sponsored by Japan Foundation and Taipei Mission in the Republic of Latvia, focused on civil society. 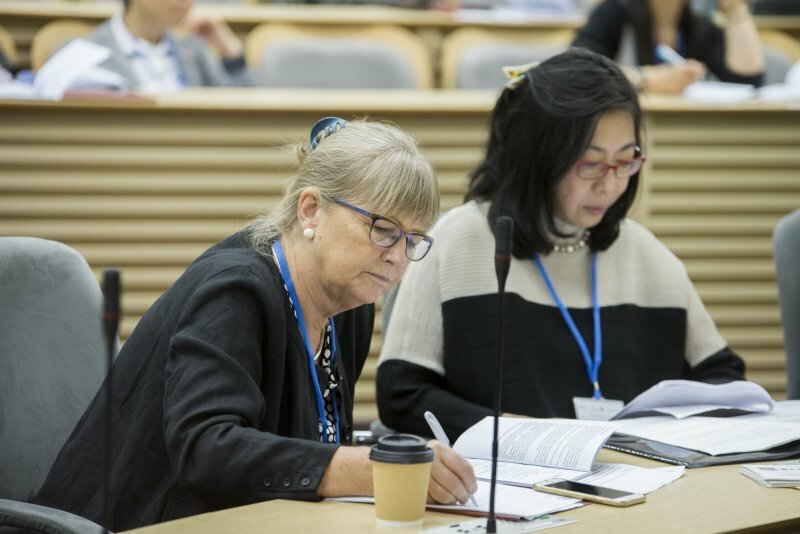 The conference papers reviewed how non-governmental organizations function in different political environments and shape the development of their own countries and the whole East Asia region. 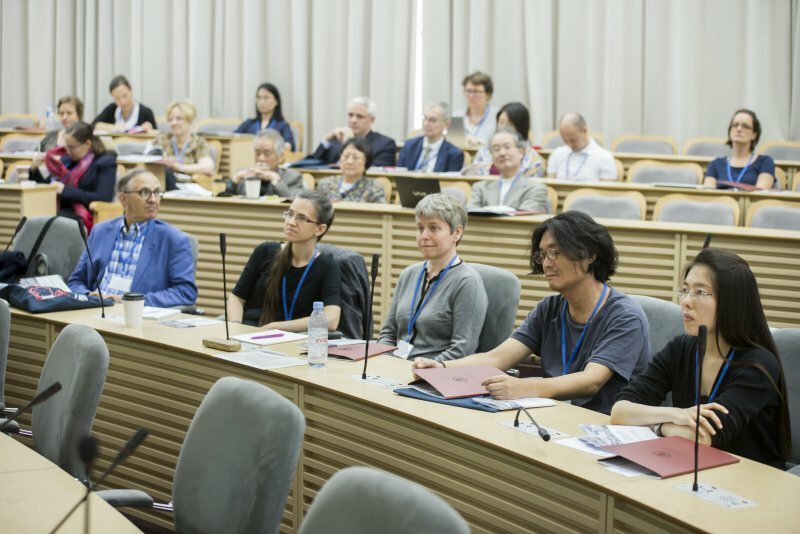 The conference featured keynote speakers and presenters from East Asia and Europe: Koichi Hasegawa (Tohoku University, Japan), Sunhyuk Kim (Korea University, South Korea), Li-Hsuan Cheng (National Cheng Chi University, Taiwan), Julie Gilson (University of Birmingham, UK) and others. 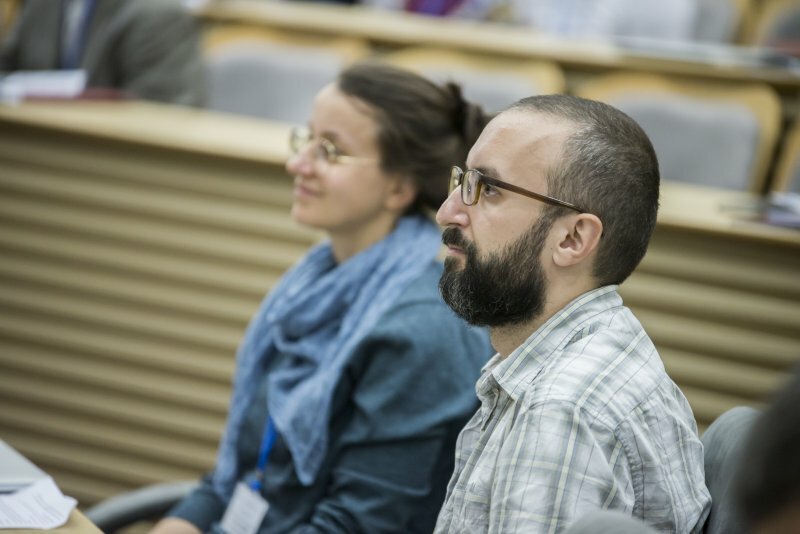 The conference gathered specialists from various fields and it was a great place to share their research and insights. Errata: page 56 “Gonçalo, 2011” → “Santos, 2011”; page 63 “Gonçalo, S. (2011)” → “Santos, G. (2011)”. 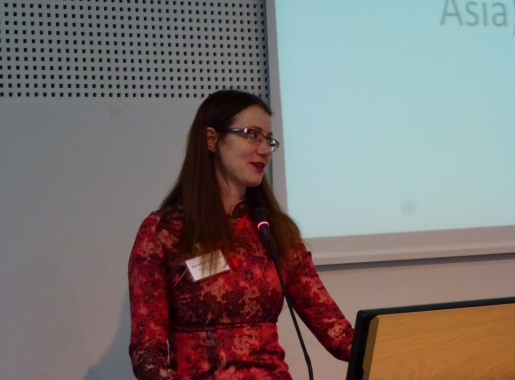 The Conference was focused on travel as an opportunity for inter-cultural learning and both material and immaterial exchanges. 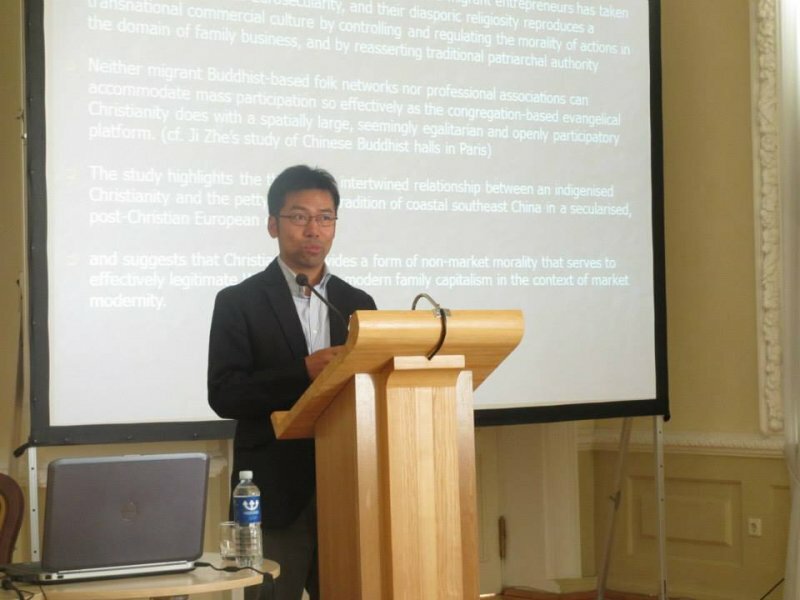 The conference papers reviewed the history of travelers’ contacts, tourism policy, tourist industry and other related topics spanning from early 20th century until today, with most focus given to East Asian countries. 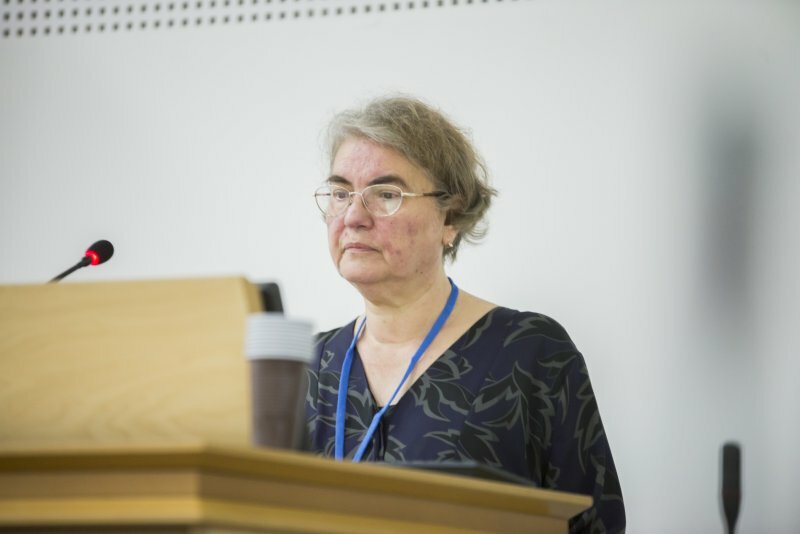 The conference was featured keynote speakers and presenters from East Asia and Europe: Yasuhiro Watanabe (J. F. Oberlin University, Tokyo, Japan), Takamitsu Jimura (Liverpool John Moores University, UK), Ene Selart (Tartu University, Estonia), Ian Rapley (Cardiff University, UK) and others. 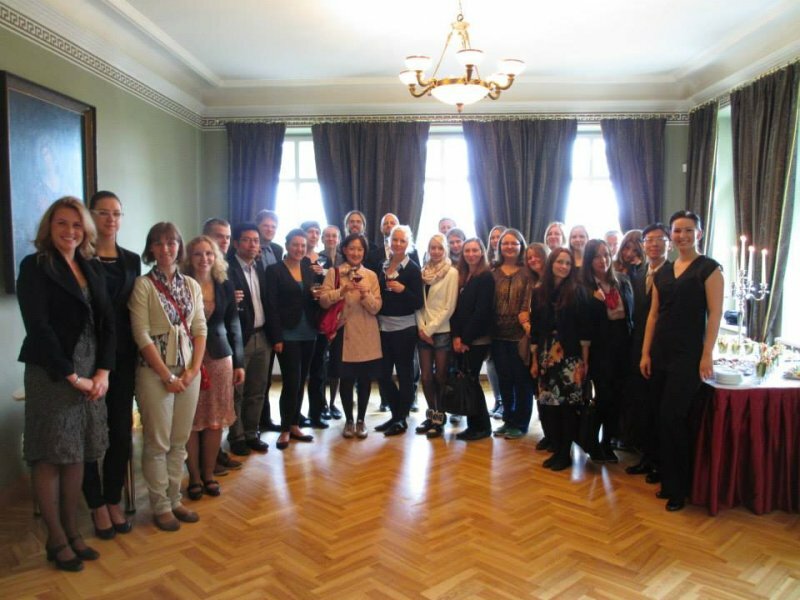 In addition, a discussion “Tourism between Lithuania and East Asian countries: how to benefit from growing opportunities and deal with challenges?” was be held on the second day among scholars and practitioners from Lithuanian tourism related institutions and businesses. 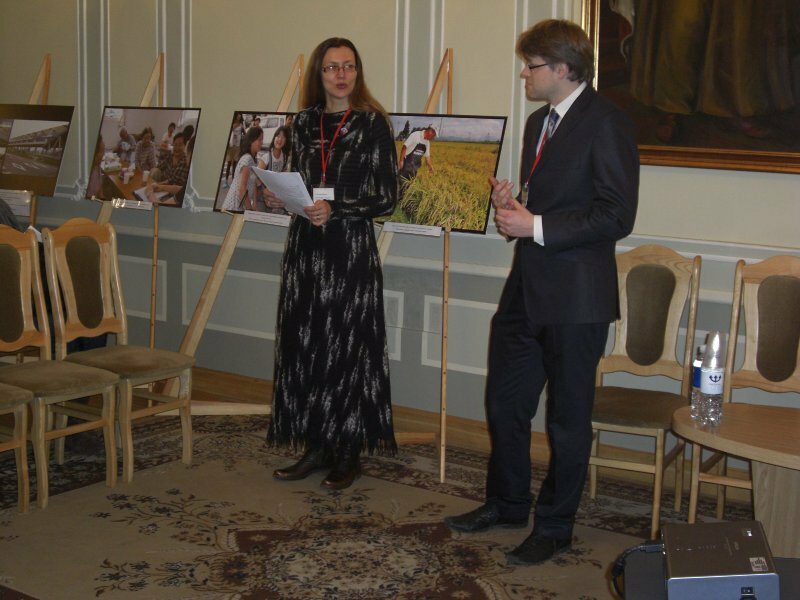 The Conference, sponsored by Taipei Mission in Republic of Latvia, was focused on economy this year, and in particular – trade and other economic relations between the EU, its Eastern neighborhood, and East Asia. 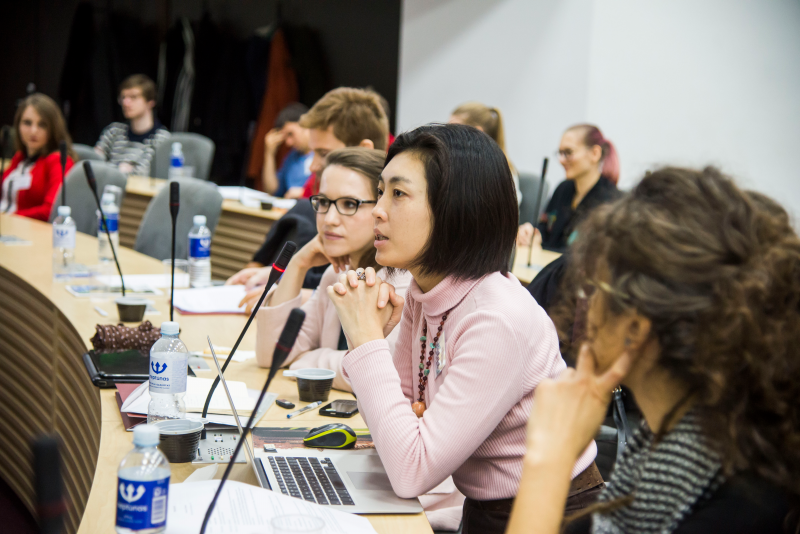 The conference engaged the academic community at all levels – MA students of the East Asia Region Studies at VMU presented their research ideas at an MA poster session. 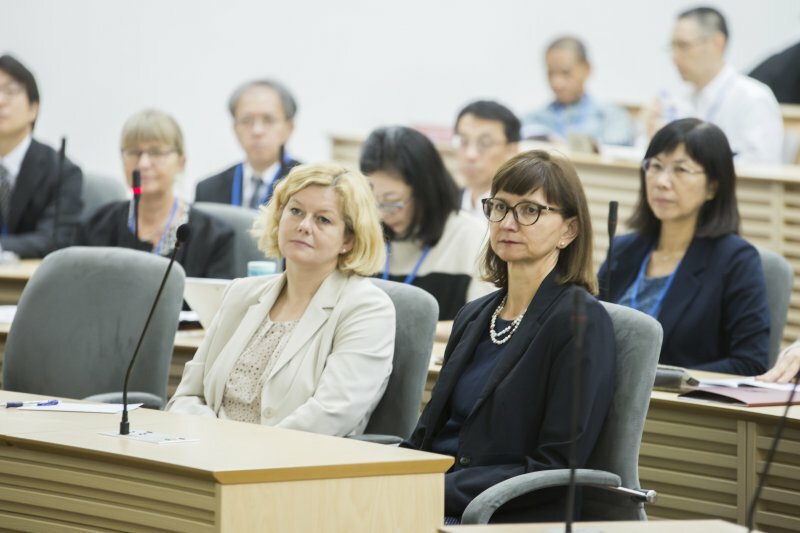 The keynote speakers of the Conference were Prof. Liou Tohai from National Chengchi University in Taiwan, and Dr. Aušra Maldeikienė, a well-known Lithuanian economist and former recipient of Taiwan Fellowship. 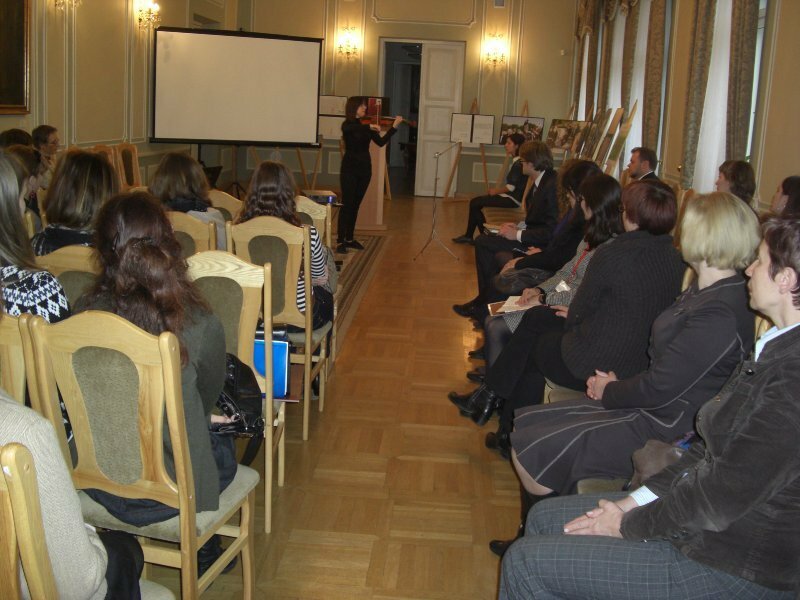 Other participants come from Croatia, Latvia, Estonia and Belarus. 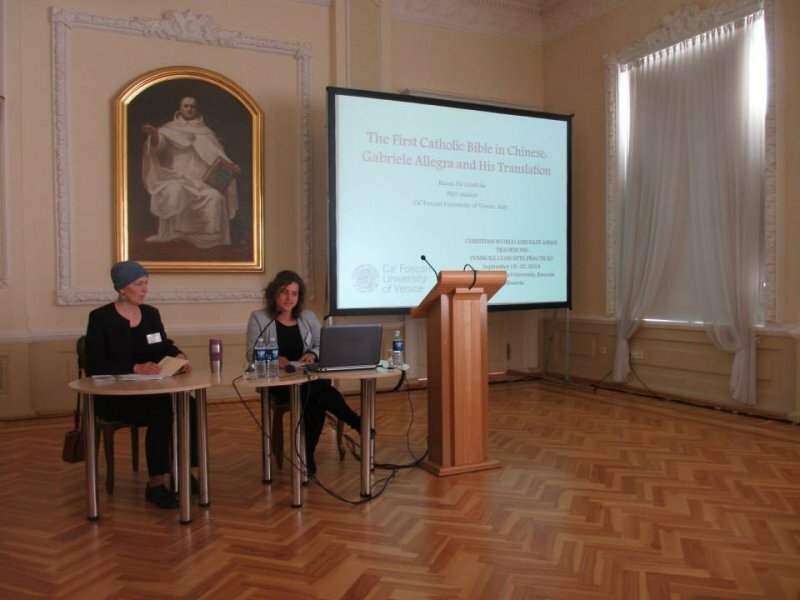 The Conference, sponsored by Taipei Mission in Republic of Latvia and Lithuanian Council of Science, aimed at presenting the interactions between Western and Eastern worlds through the prism of religion, philosophy, politics, art. The presenters came from Renmin University, National Chengchi University, Ca’ Foscari University of Venice, University of Latvia, Daugavpils University, Jagiellonian University, Polish Society of Anthropology of Dance, Vilnius University, Kaunas University of Technology, Mykolas Romeris University, Vytautas Magnus University. 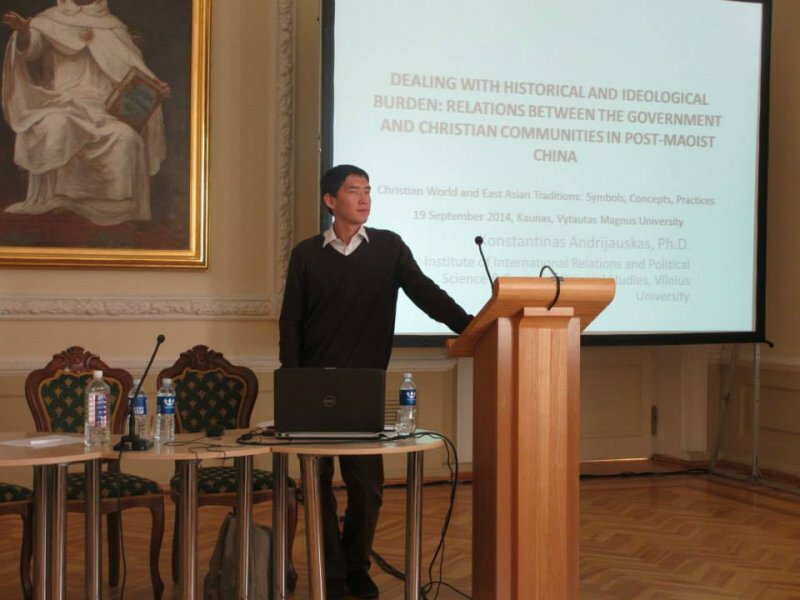 The keynote speakers of the Conference were prof from Renmin University Nanlai Cao, Deputy Secretary-General of the Taiwan-Russia Association and an associate professor at the Graduate Institute of Russian Studies of the National Chengchi University, prof Bai-ku Wei and an associate professor at department of Philosophy of Vytautas Magnus University Agnė Budriūnaitė. 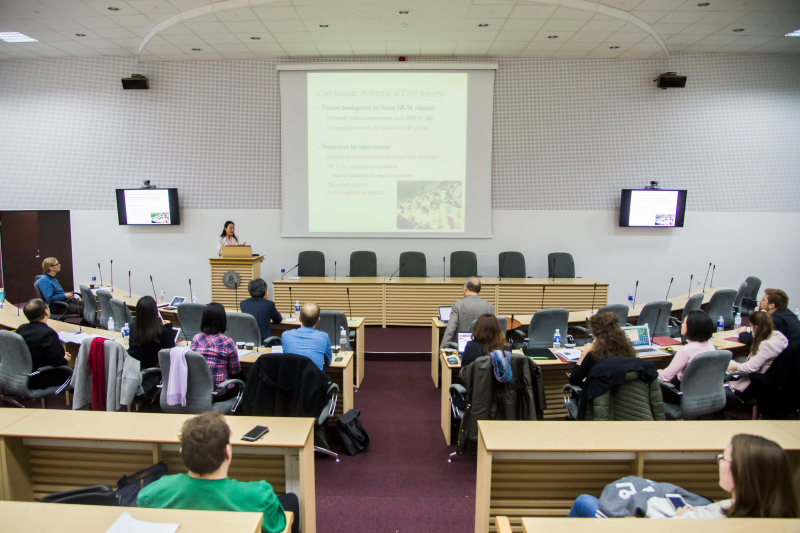 The conference gathered specialists from various fields and it was a great place to share their research and insights. 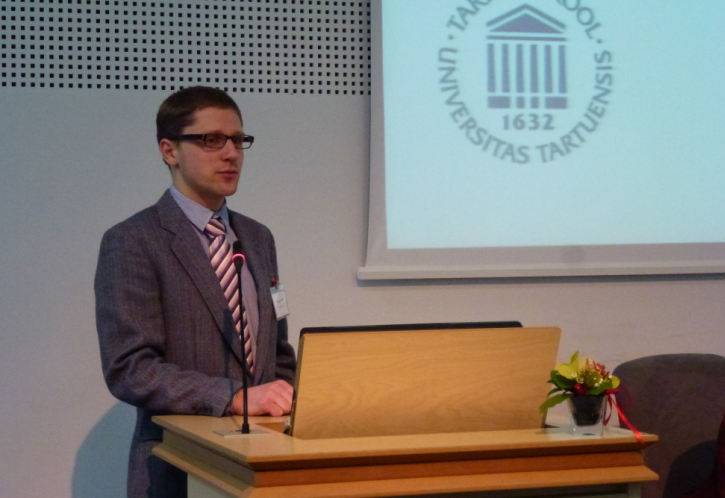 The Conference, sponsored by Taipei Mission in Republic of Latvia, was dedicated to present the situation of Chinese and Taiwanese Studies in the Baltic States. 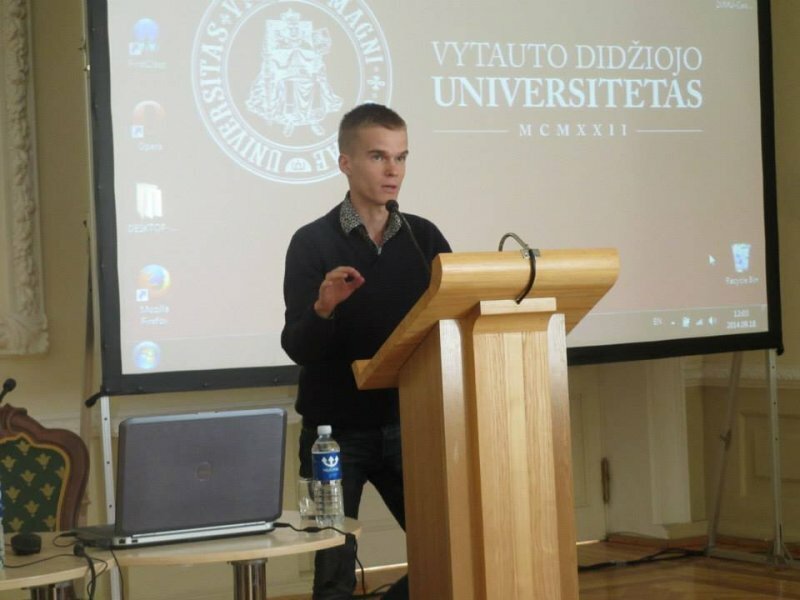 The presenters came from Ohio State University, University of Tartu, Tallinn University, Vilnius University, University of Latvia, Vilnius Gediminas Technical University, Vytautas Magnus University. 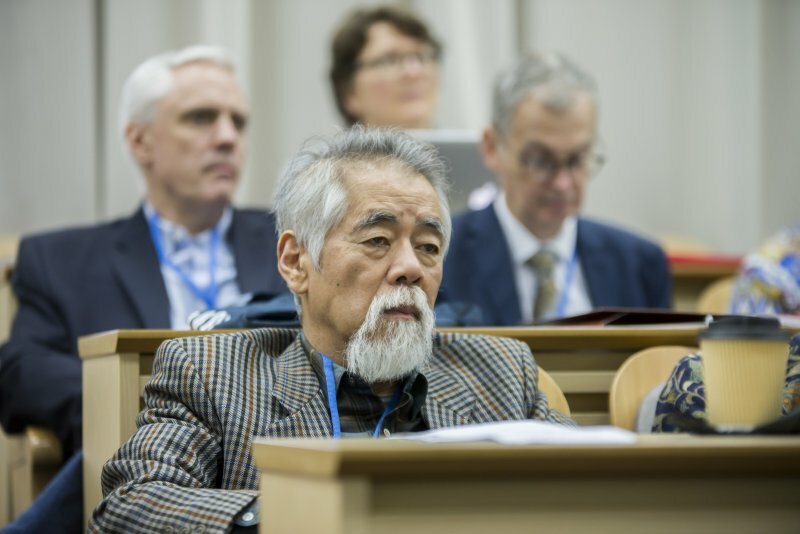 The keynote speakers of the Conference were the President of Taiwan National University, prof Si-Chen Lee, and the Dean of the College of Social Sciences in the National Cheng-Chi University, prof Yih-chyi Chuang. The conference ensured a great opportunity to strengthen the relationship not only with researchers from Taiwan but also scholars from other countries working in the field of Chinese / Taiwanese studies. During the Conference, the official establishment of the Taiwan Centre will ttook place. 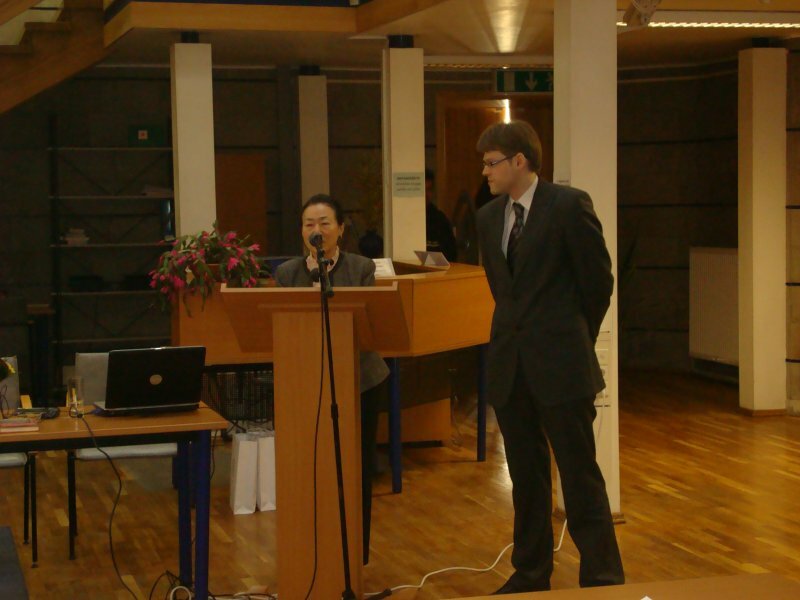 Represenatative of Taipei Mission of the Republic of Latvia, Gary K. Y. Ko with delegation participated. 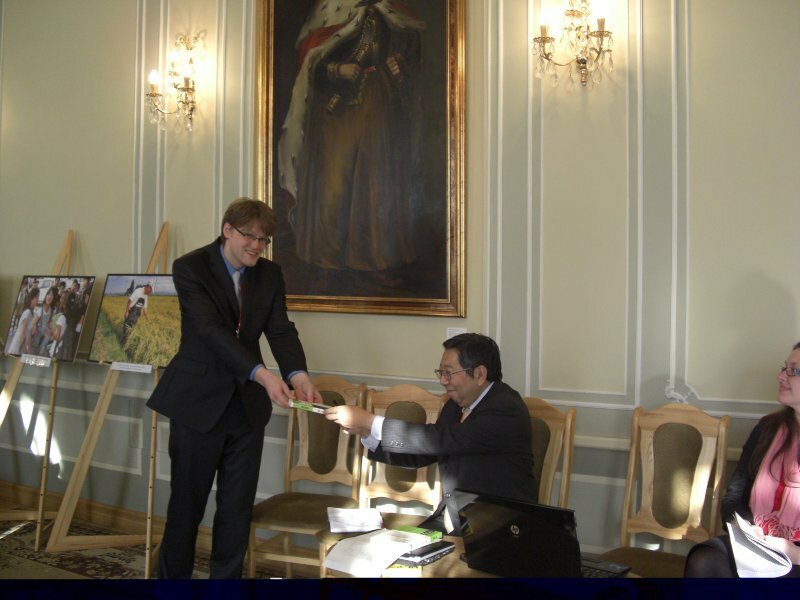 During the opening ceremony, participants signed a memorandum of collaboration between the Taipei Mission and VMU. 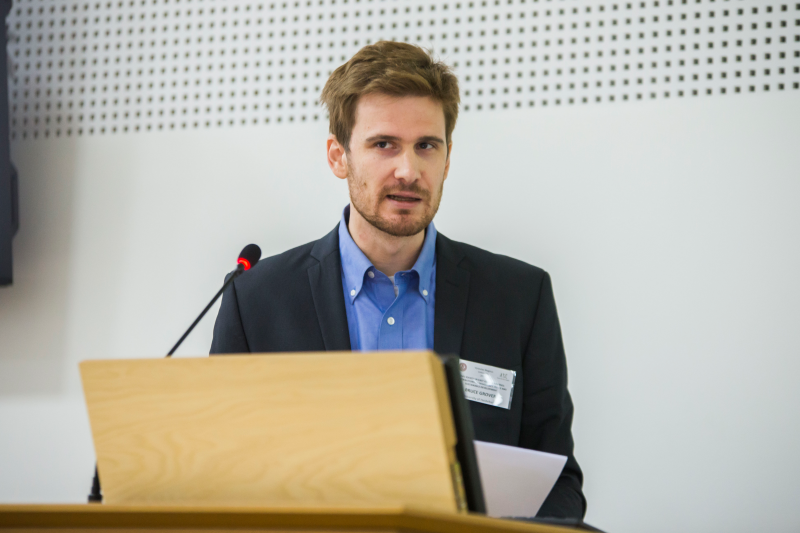 The aim of the symposium was to present the results of individual research, to discuss the further tendencies for the joint research and to prepare for the publication to be released next year. 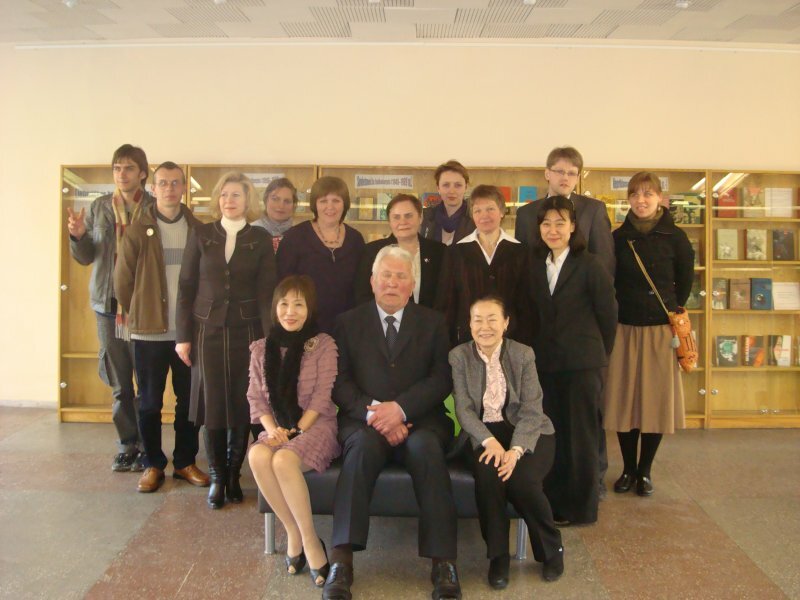 The project was sponsored by the Japan Foundation. The more detailed program of the symposium can be found here. 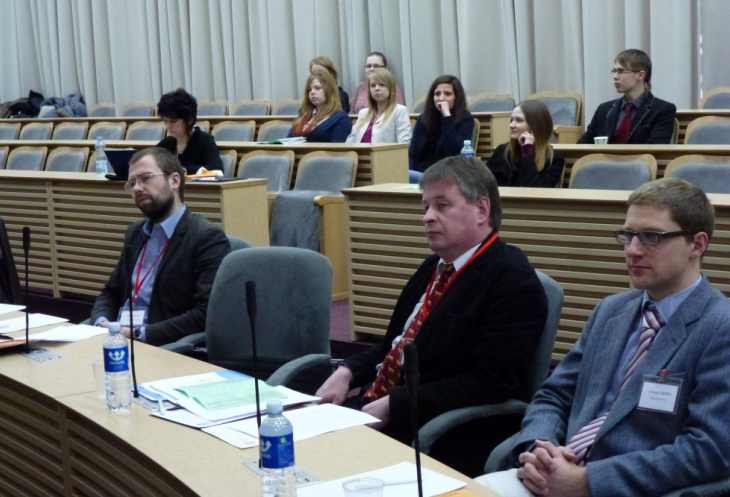 The Symposium, organized on the occasion of the 10 years anniversary from the establishment of the Centre for Asian Studies and sponsored by Japan Foundation, was dedicated to discuss and to evaluate the situation of Asian Studies in Lithuania. 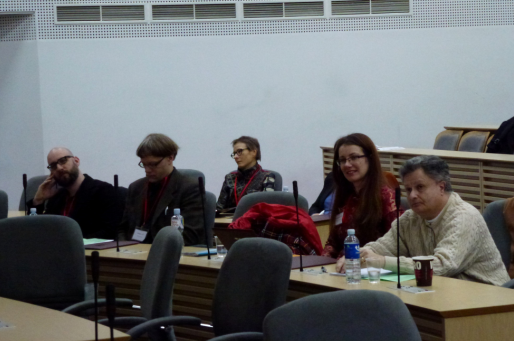 The presenters discussing the history and situation of Asian studies were Prof. Antanas Andrijauskas, Dr. Valdas Jaskūnas, Dr. Agnė Budriūnaitė, Dr. Kyoko Koma, Dr. Dalia Švambarytė, Dr. Birutė Railienė, Mr. Seo Jinseok, Mr. Vytautas Dumčius and Ms. Kristina Barancovaitė-Skindaravičienė. 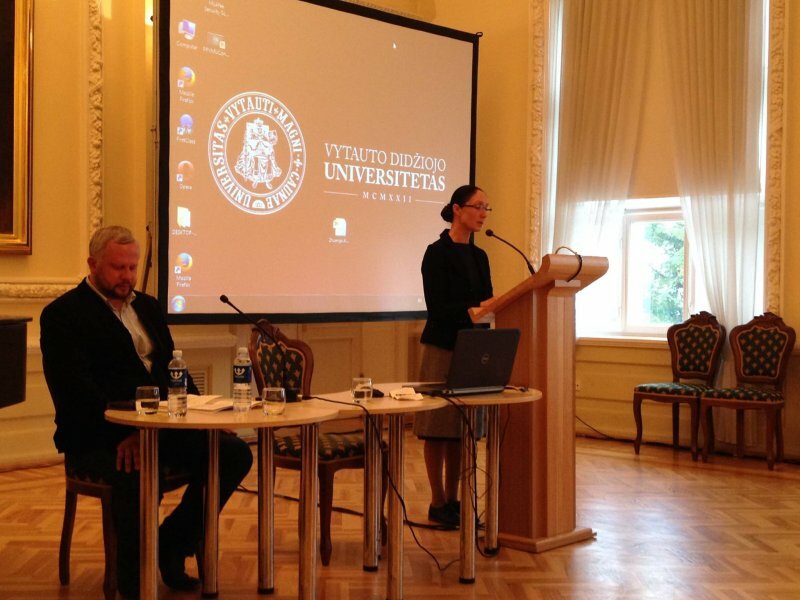 Dr. Agnese Haijima (University of Latvia) presented the Japanese studies’ situation in Latvia. 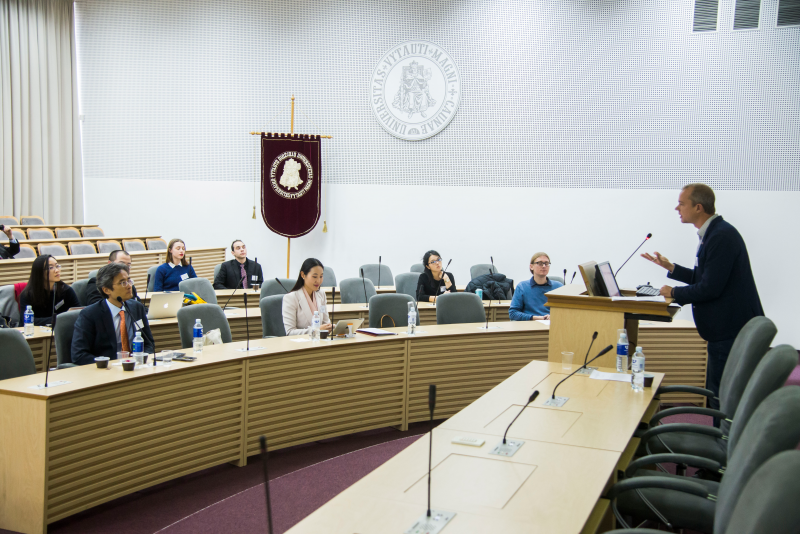 The special guest speaker Dr. Eiko Sakurai, the author of the first Lithuanian language textbook in Japanese, presented the situation of Lithuanian and Baltic studies in Japan. Dr. Masaaki Shiraishi, a prominent researcher of Ch. 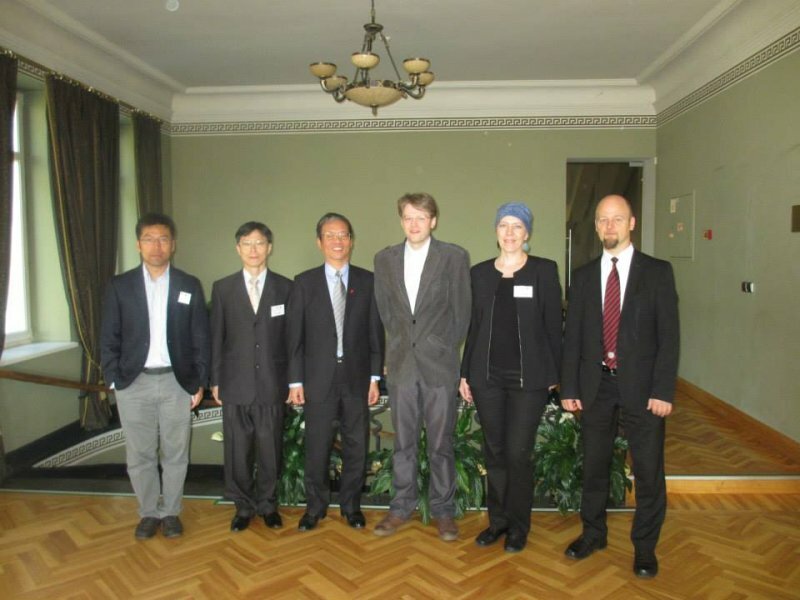 Sugihara, delivered a lecture on Lithuania-Japan diplomatic relationships. 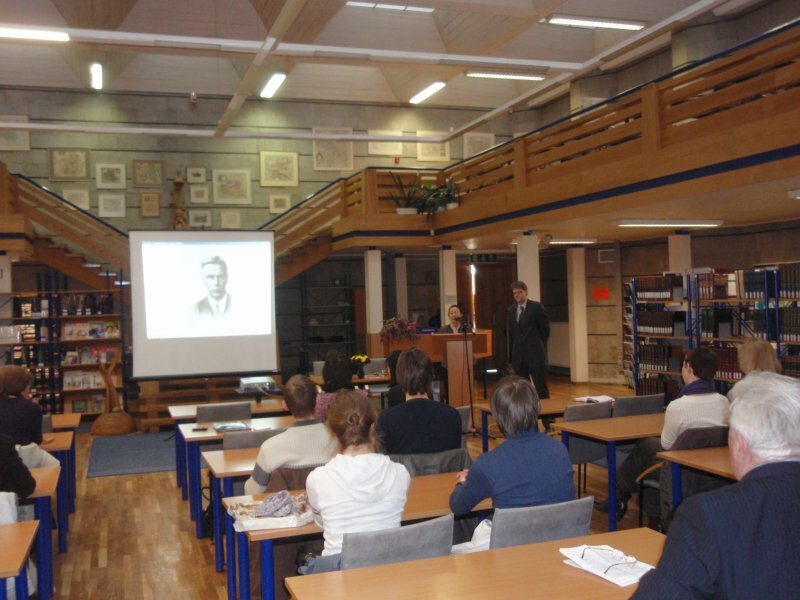 His lecture was followed by the presentation of his most recently published book “Choho-no tensai Sugihara Chiune”. 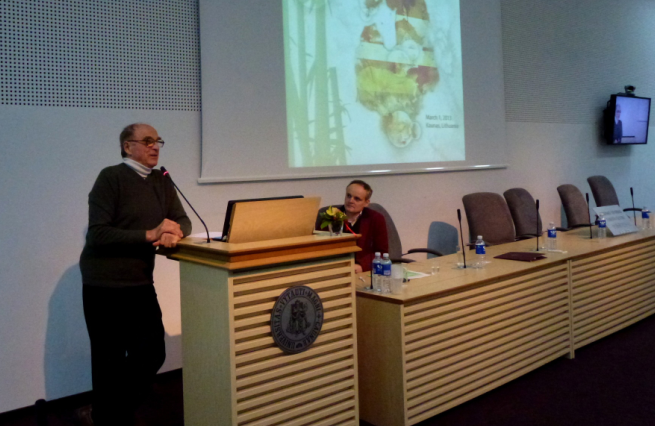 During the Symposium, the donation ceremony of a book collection collected by the famous Lithuanian orientalist a.e. 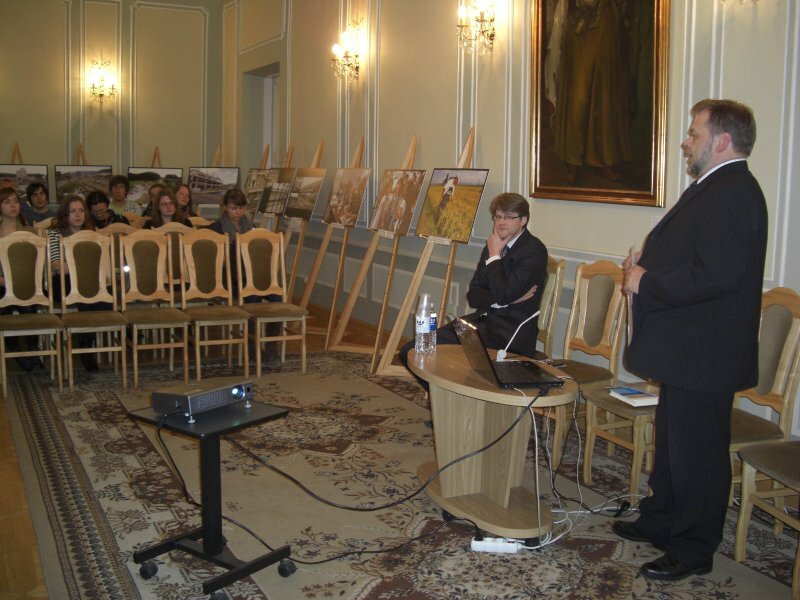 Dr. R. Neimantas, meeting of the Japan Alumnae Association, and the opening of the photo exhibition about the relationships of Lithuania-Japan was organised. The detailed program of the Symposium; Abstracts of the presentations. 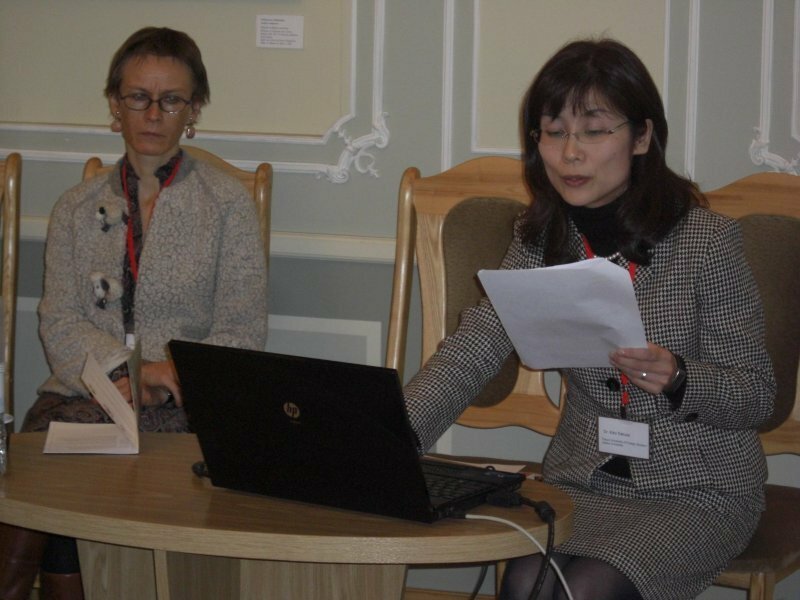 During the fourth annual conference sponsored by Japan Foundation, scholars and students discussed the current problems and achievements in cross-cultural communication among the Japanese, Korean people and Westerners. How the images of East Asian countries are projected? How are they represented in Western literature, cinema, art, printed media? 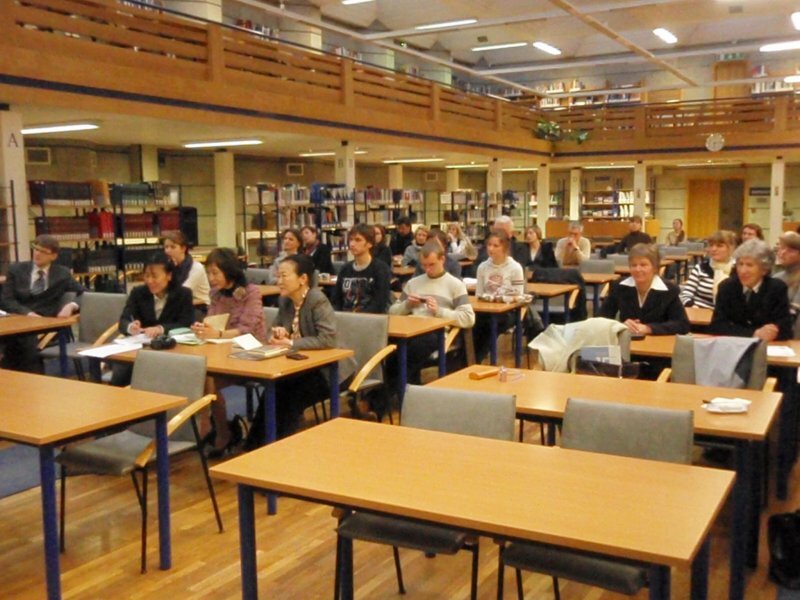 Conference consisted of three sessions. 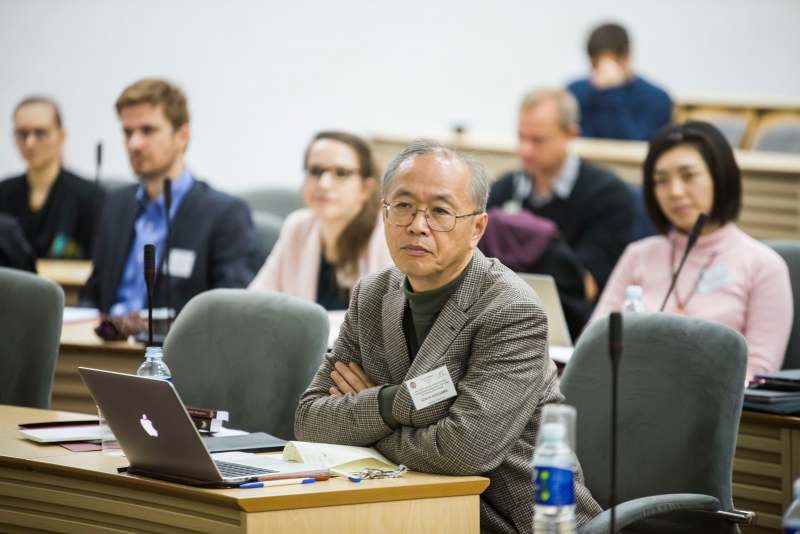 The key speakers, who delivered lectures were prof. dr. T. Suzuki (Meiji University), prof. dr. S. Li (Pusan National University), prof. dr. J. Yeon (University of London) and prof. dr. Y. Ikeda (Ritsumeikan University). 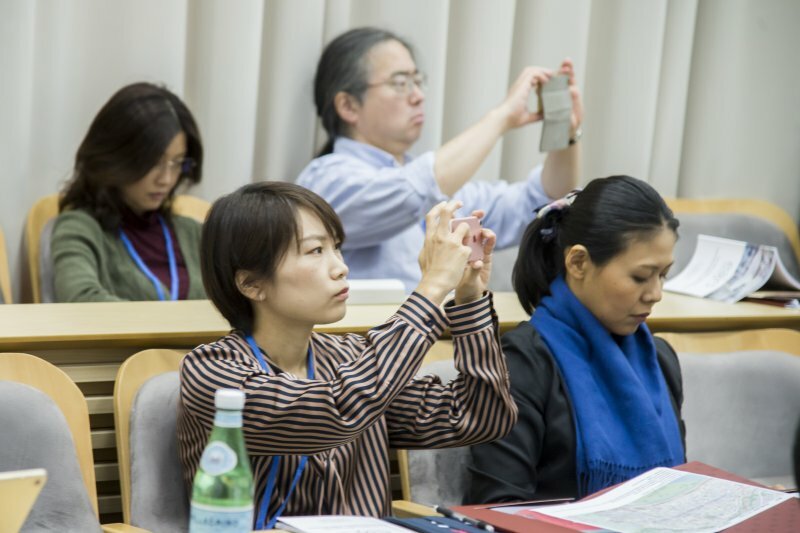 Thanks to the subvention of Japan Foundation, 20 participants discussed on Japan’s worldwide image at the third annual conference. 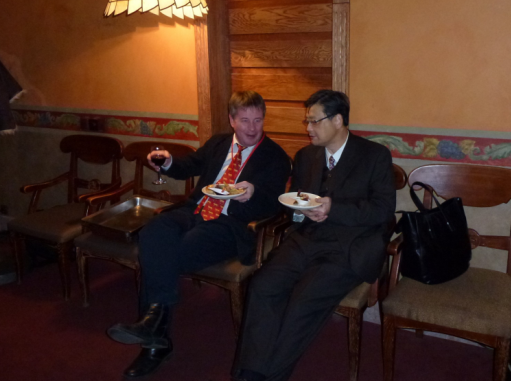 Prof. Yoshihiko Ikegami (Showa Women’s University/Tokyo University), Prof. Sepp Linhart (University of Vienna), Assoc. 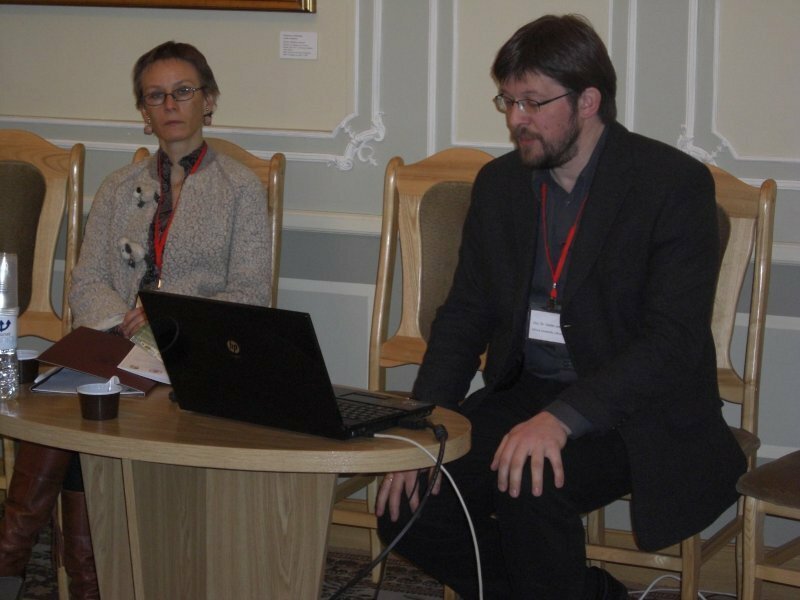 Prof. Tomoyo Nakao (Okayama University), Prof. Algis Mickūnas (Ohio University) delivered special lectures and moderated four sections: Images of Japan from language and cultural points of view; Image of Japan in art and fiction; Image of Japan from religious points of view; Image of Japan from politics perspective. 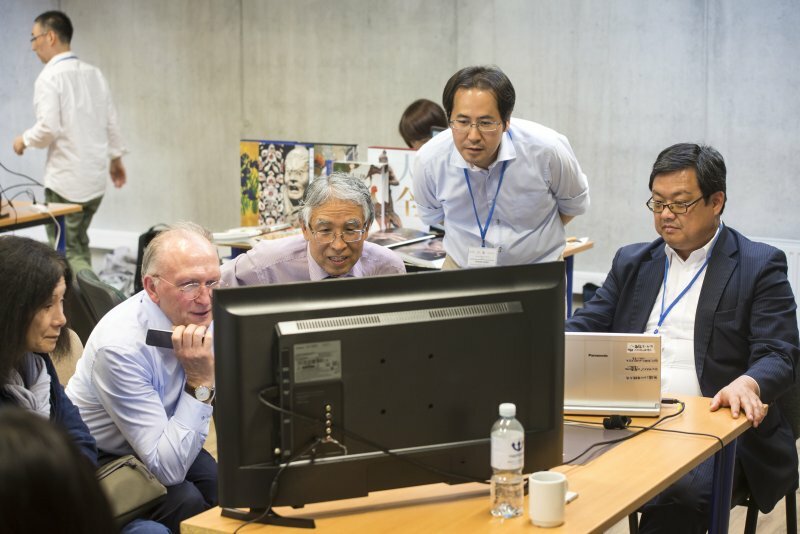 Scientific Committee of the conference consisted of four above mentioned professors and also Prof. Cécile Sakai (Paris VII University), Prof. Harald Fuess (University of Heidelberg), Prof. Takashi Kitamura (Osaka University). 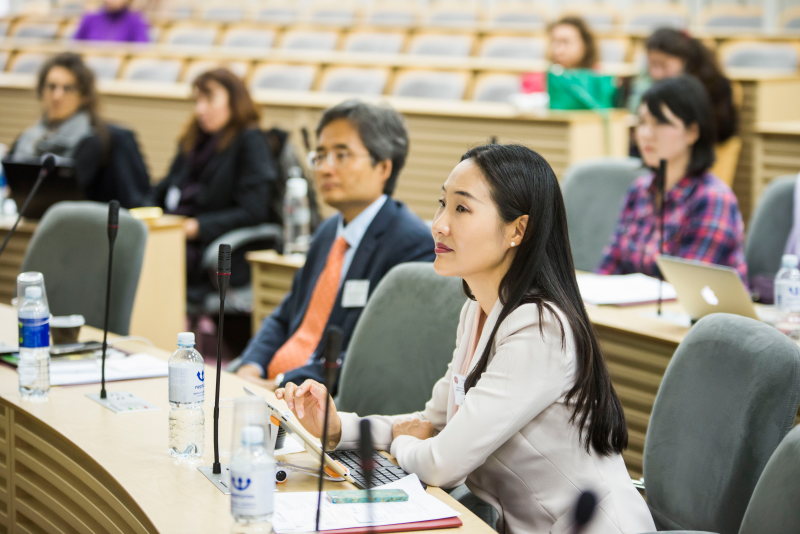 In the second annual conference, the scholars from different fields of studies were invited to share their knowledge about what role does Asian “tradition” play in the contemporary perception of modern Asian cultures/societies in different European countries. The scholars discussed about this issue concerning Japanese, Chinese, Korean and Indian case. 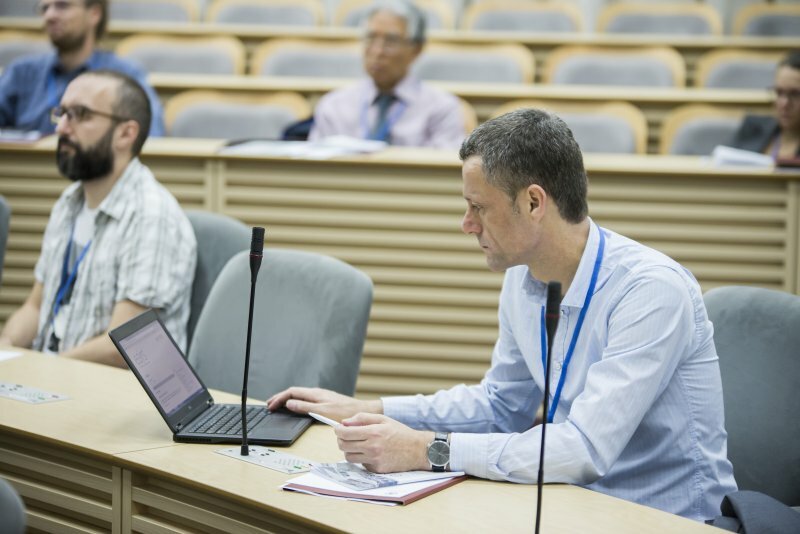 In this conference, Prof. Sepp Linhart (University of Vienna), Prof. Takashi Kitamura (Osaka University), Prof. Hu Daping (Nanjing University) delivered special lectures. 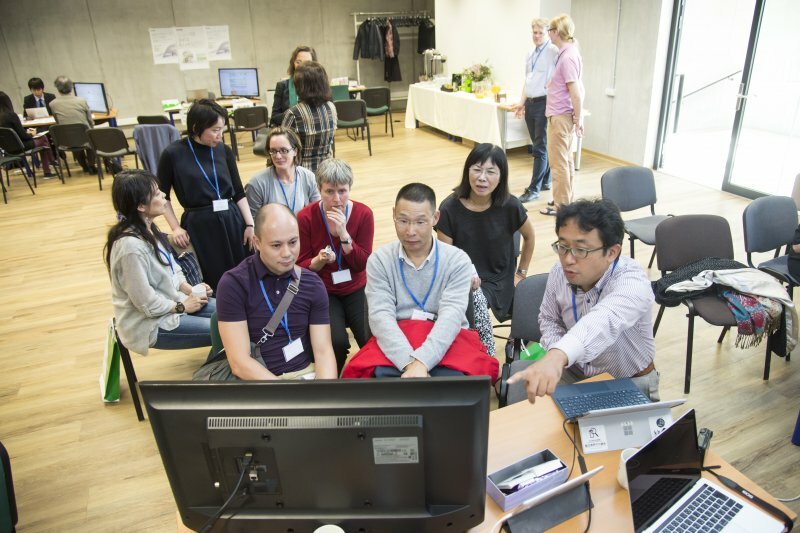 Subsidized by Toshiba International Foundation, the first international annual conference “Image of Japan in Europe” was organized to exchange academic knowledge and experience regarding Japan’s representation in different European countries, to detect and fill in possible gaps in Japan’s images creation. 11 researchers presented their paper in this first conference. Centre’s guests were researchers from abroad: Assoc. 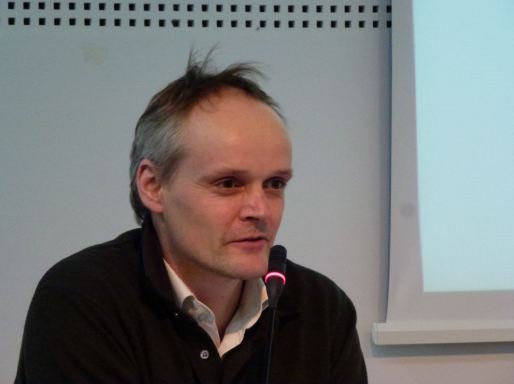 Prof. Maik Hendrik Sprotte and Mr.Thomas Buttner (University of Heidelberg), Dr. Catharina Blomberg (University of Stockholm), Prof. Miyako Iwatake (Helsinki University), Assoc. 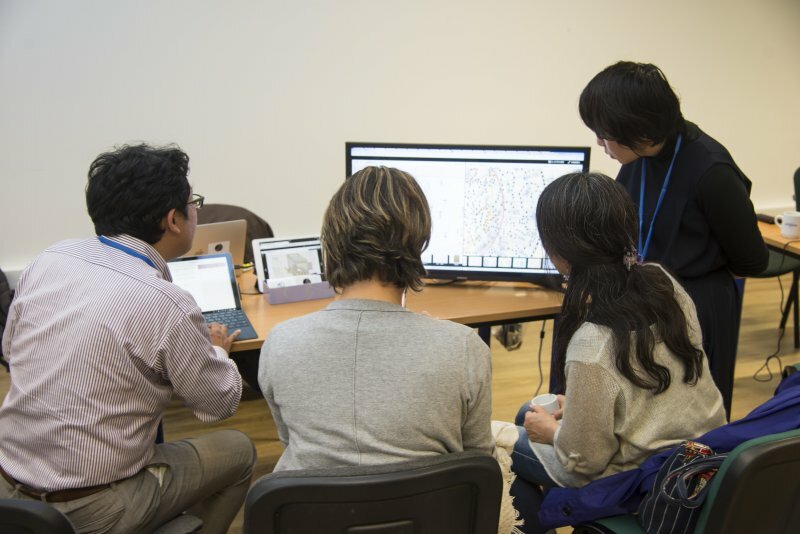 Prof. Jean-Paul Honoré (Paris-Est University) and Dr. Yoshiko Ikeda (Osaka University). 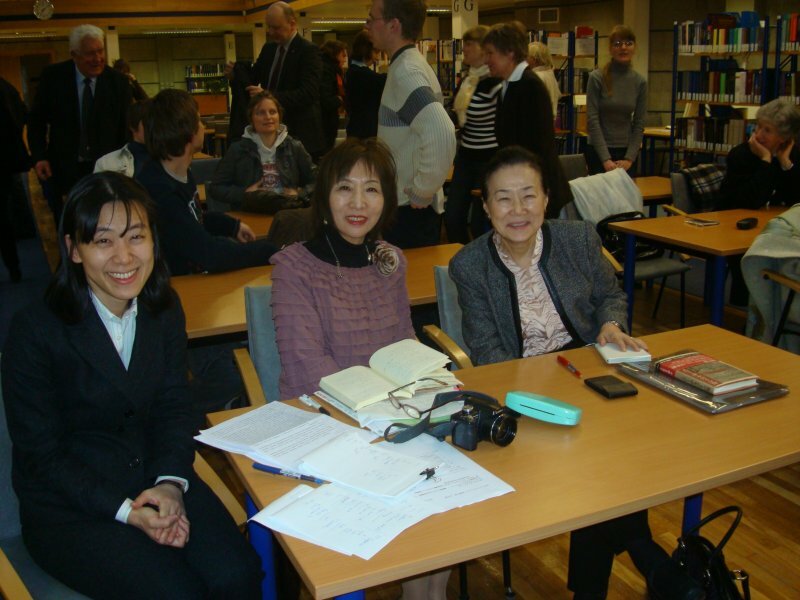 On the basis of Conference presentations, publication “Image of Japan in Europe” was published on March 2008, with special contributions by Prof. Koichi Hatada (Osaka University), Assoc. 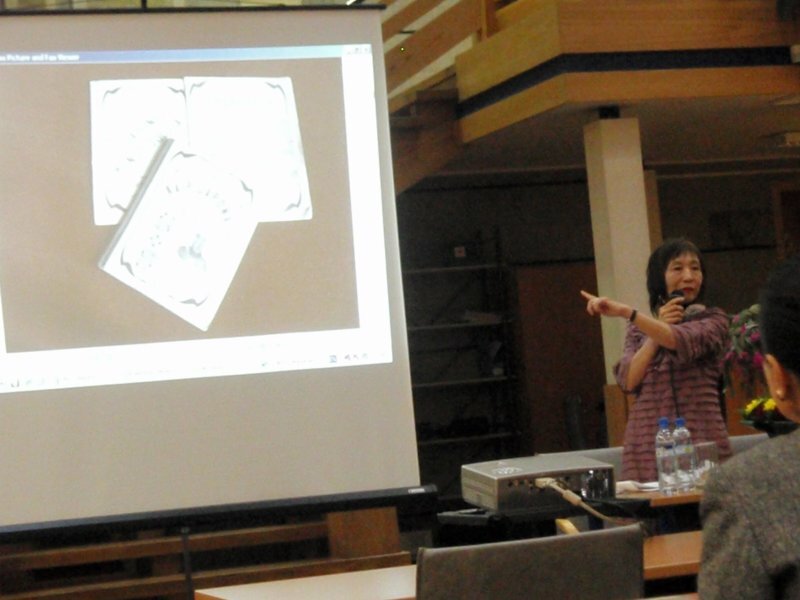 prof. Noriko Onohara (University of Hyogo), Mr. Yu Ito (researcher of Kyoto Manga Museum). 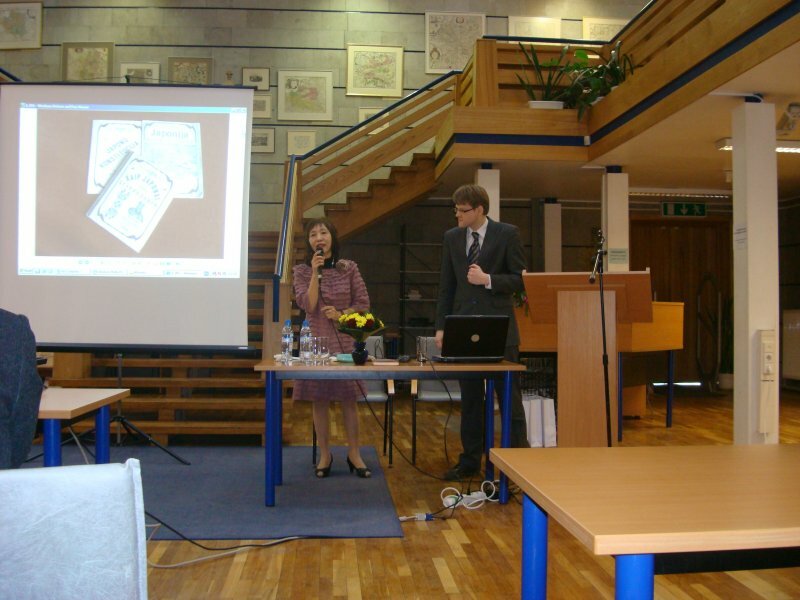 September 10-11, 2010 International academic conference Speaking and Spoken Language in Japanese, at the premises of the Centre for Asian Studies, organized together with “European Discourses on Japan”, supported by Okura Memorial Foundation.